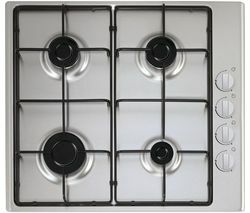 Hobs come in a variety of shapes and sizes and are available from a number of manufacturers. They’re easy to use and great for when you want to get creative in the kitchen. If you’re short on time or you don’t want to spend hours in the kitchen, choose a gas hob as they heat up instantly so there’s no more waiting around. You can use a hob to heat up leftovers, make pasta or create the perfect balsamic reduction that will impress your guests the next time you host a dinner party. Our hobs are available in a range of different styles and colours to suit any kitchen, they look good and will help you get the job done. Cooking has never been easier when you install a brand new hob. 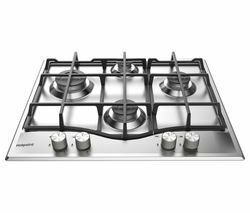 If you’re looking for an affordable solution, check out our range of electric hobs, and if you want instant heat in your kitchen, take a look at our gas hob collection. Whether you’re looking to upgrade your current hob or you’re putting together your perfect fitted kitchen, a new hob is the ideal way to ensure home cooking is fast and convenient, no matter what’s on the menu.